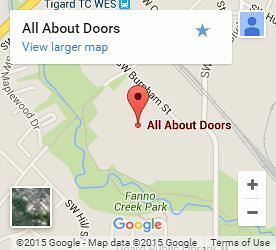 When it comes to garage doors, Tualatin calls on All About Doors for all their garage related services. With more than 25 years of industry leading experience, garage doors Tualatin home and business owners rely on come from us. That’s because we stand behind our work. Ensuring you get the right garage door with the beneficial features you want is our highest priority. We don’t unnecessarily upsell, and our employees don’t receive commission. You get honest service from a garage door company built on doing what’s right. Service for garage doors Tualatin citizens rely on! When it comes to garage doors, Tualatin residents need a one call solution for any need. We offer every service you could want. Tune-ups – Tune-ups can keep your garage door at its best. We recommend them every 2 years. We perform a full inspection as part of the tune-up process, checking components for early wear or damage. This allows us to catch problems before they have the chance to grow. Repair – There are a variety of damage types that can compromise the integrity of your door. Break-ins, vandalism, and poor weather can all lead to more than wear. Your garage door is a layer of protection. Our technicians can diagnose and repair damage, maintaining your security level. We perform all repairs safely. This can be a major concern with spring repair. Garage door springs carry hundreds of pounds of force. When this is unleashed due to improper removal, it can cause fatal injuries. Let our technicians keep you safe with fast, affordable repair services. Installation – When they want new garage doors, Tualatin residents don’t always know where to start. We can help. 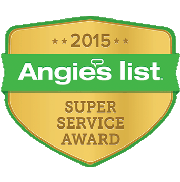 We perform full replacements and installations for home and commercial purposes. We’ll help you identify needs and find the perfect styling for a gorgeous aesthetic match. Our scheduling works around you, and we provide tested, efficient, and guaranteed install and replacing of your Tualatin garage doors. When you need garage doors in Tualatin, let us provide you with exceptional service and a legacy of craftsmanship. Call (503) 620-2453 or Contact Us today.